Cooking, baking and living in a green kitchen lifestyle is as simple as making a few changes to your dishwashing routines. 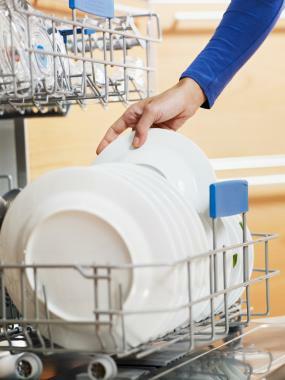 Use short dishwashing cycles and save the normal dishwashing cycles for your dirtiest dishes. Avoid using the “rinse hold” setting, since it uses three to seven gallons of hot water for each use. Give your dishes a breath of fresh air by turning your dishwasher setting to air-dry or open the dishwasher after the rinse cycle.